There are many ways to earn your living online, from building a product to providing a service. Coaching is a great way to help people and make some money at the same time. So we have invited a well-known blogging coach today to learn more about starting your coaching business online. 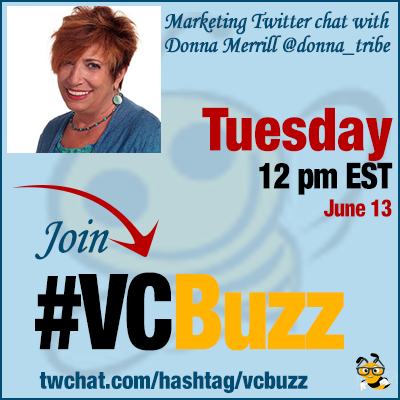 Donna Merrill @donna_tribe has been blogging for years and teach others how to blog effectively. Her journey has taken her to creating many digital info products the past 2 years, starting a membership site and continuing to do 1-on-1 coaching and mentoring with bloggers and online entrepreneurs. Connect to Donna on Linkedin! Q1 Please tell us a few words about your online career journey! How did you become a blogger? I always was in the people business and loved to help them as an Intuitive consultant for many years. When I was introduced to this thing called blogging, I thought it best to take my skills online. Despite the ups and downs, I persisted because I had a love being a blogger. I learned everything I could on this journey and always applied it immediately. Indeed. this is why it’s important to reach out to a specific, well-defined niche crowd. Q2 How can one start a coaching business? How does coaching happen? Do you have your own routine? How to determine how much to charge? As long as you can help someone advance to the next step, you can be their coach. You can start a coaching business by starting to help people. You can do it for free at first if you don’t feel confident, and then start charging. It happens when you have a structure to your business. One has to have a routine to be able to be a coach. It comes down to time management. It has to be the first and foremost task to do every day. Charge people according to the going rate in your niche. If you find you can’t keep up with your case load then increase your fees. There are many ways to coach from one on one to email to group sessions. Yes, webinars are great. I use mostly teleseminars these days… more interactive. You just pick up the phone and talk to a group of people = teleseminar. Easy! Mute them + unmute them to speak live. It can be either. I use phone. Attendees can use either But they can only talk live if they’re on the phone. Q3 Do you use any good coaching tools you can recommend? I use teleseminars to do most of my coaching now. I use Instant Teleseminar but there are others including free ones. When I first started coaching, I simply spoke to people one on one on the phone. When that became too time consuming, I started group coaching via webinars. There is no best method, Do with what is best for you and your clients. When 1-on-1 got too time consuming for me, I started group coaching via webinars. Q4 You have also been developing some digital info products? Please share them with our community and let us know how they can help people achieve their blogging goals! I have dozens of e-courses. My flagship digital course is called Blogging Magic, for aspiring and intermediate bloggers. Blogging Magic is here. Blogging Magic is an “A to Z” video training over 7 hours long (broken into multiple modules). It’s pretty much all you need to know to run a successful blogging business. My most popular free digital product is called “Build My Blog: 4 Things I did To Build My Blog Using Only Free Traffic Sources“. Build My Blog is a walk through of exactly what I have done to build my own top-rated blog using only free traffic sources. Coaching and blogging is a perfect mix. Blogging is about solving problems. So is coaching! win-win. And of course… coaching is good to do in ANY niche at all. Q5 You’ve mentioned Viral Content Bee in your article on generating traffic. Could you tell us a bit more about using the platform? What you could recommend our users do to make the most of it? VCB is a great platform for getting more traffic to your blog. Simply share other bloggers’ content, and they reciprocate by sharing yours. This is a win-win for everyone. This works really well only when everybody posts high quality content. That’s a good thing because it keeps the standards high. I’ve been in blogging groups where the standards were not so high, and so the sharing was not so effective. But it’s been a pleasure working within the VCB community because content is carefully moderated for quality. High Quality just helps everybody so much. Monetization requires knowing basic marketing skills. Giving good content for others in a blog post will eventually give you authority. That’s for starters. Blogging is the BEST in the world for freelancers. It’s a way to get your stuff seen + give you authority. InstantTeleseminar is a bit pricey, but just google free teleseminars and you find others.